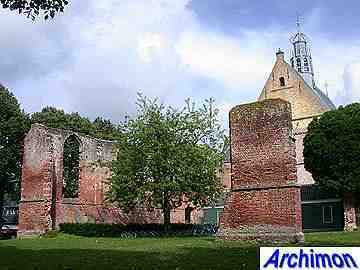 The aptly named Ruïnekerk ("ruin church") is what remains of a big pilgrims' church, which replaced a smaller chapel built after the Miracle of Bergen in 1422. 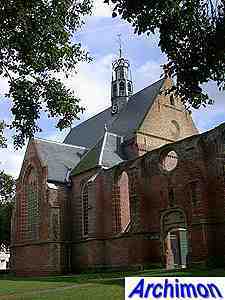 The big church was probably built in the second quarter of the 15th century. 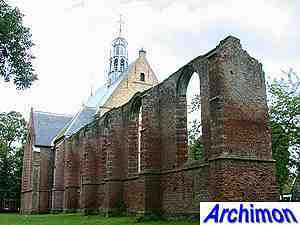 According to some its nave was three aisles wide, while others claim it was only one aisle wide, albeit a wide aisle. 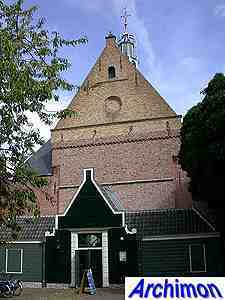 Either way, an old drawing of the old church shows it with a single saddle roof. 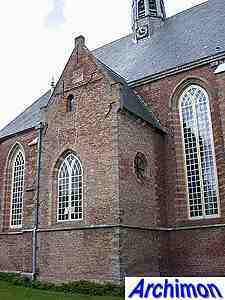 In 1574 the church was destroyed by protestant troops. 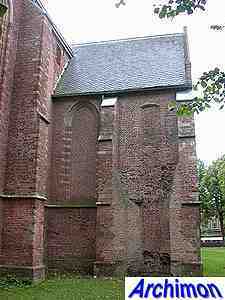 The tower was lost completely, but the rulers of Bergen prevented the eventual destruction of the other remains, parts of the outer walls of the nave and the walls of the choir with its flanking chapels. 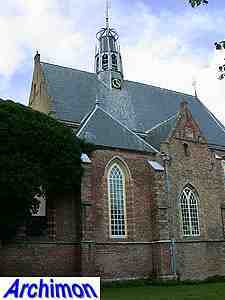 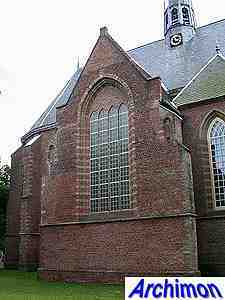 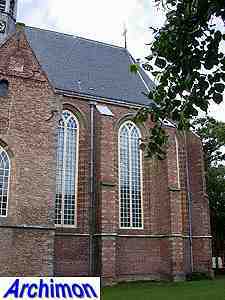 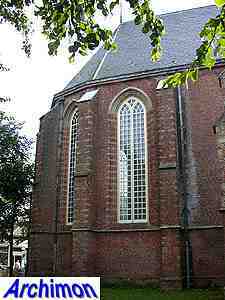 The choir was rebuilt in 1594-1597 to serve as a reformed church. 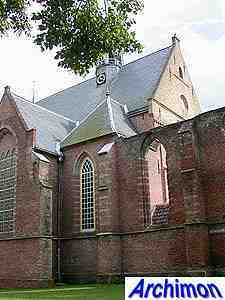 In 1955-1961 a restoration was led by architect C.W. 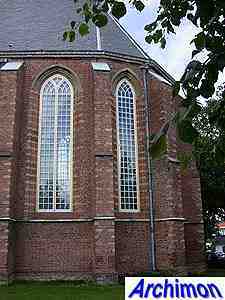 Royaards who extended the choir with a trave, restored the parts of the nave flanking the new trave and added a wooden portal in pseudo-18th-century style. 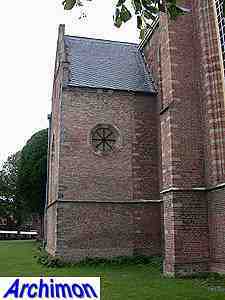 This portal was moved a few meters to the west in 2003 when the entrance was enlarged.